I’ve known Felicity, Fliss, for a couple of years now. She’s one of those people who is always smiling and will speak to everyone. She treats everyone the same and the conversation I had with her yesterday morning just proved it. I met her at Boston Tea Party on Whiteladies Road, Bristol at about 10.50am, I got there first and secured a table. 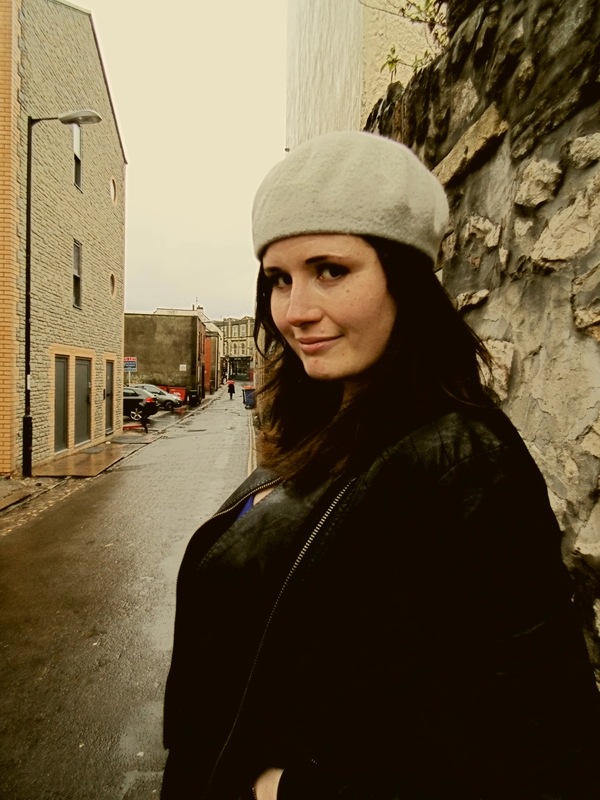 Fliss breezed in shortly after with her signature big smile and looking gorgeous in a fitted blue dress, leather jacket and chic grey beret. This woman is 28 years old and is currently pursuing a PhD in neuroscience, is an incredibly talented artist and was recently involved in a charitable organisation donating aid to refugees in Calais. I am in awe of her. Her love of science started as a young child. Her Dad was from the West Country and her Mum from Belfast. The family would travel up to Scotland to get the early morning ferry across to Belfast, which meant leaving home in the middle of the night to drive up in the car. She relays the vivid memory she has of travelling in the car, staring at the sky and falling in love with the stars. How do you do get a job staring at the stars for a living? Astrophysics. Pursuing this career option wasn’t always straight forward for Fliss, coming up against sexist teachers and incompetent tutors. The sexist teacher knocked her confidence, the incompetent tutor built it back up again when she realised that, actually, she knew more than he did. Studying physics at Leeds University opened her eyes to other areas of physics; biophysics, complex fluids and statistical mechanics. Now, I’m not a scientist, so when she began to explain to me the second law of thermodynamics, well, let’s just say I was a little out of my depth. 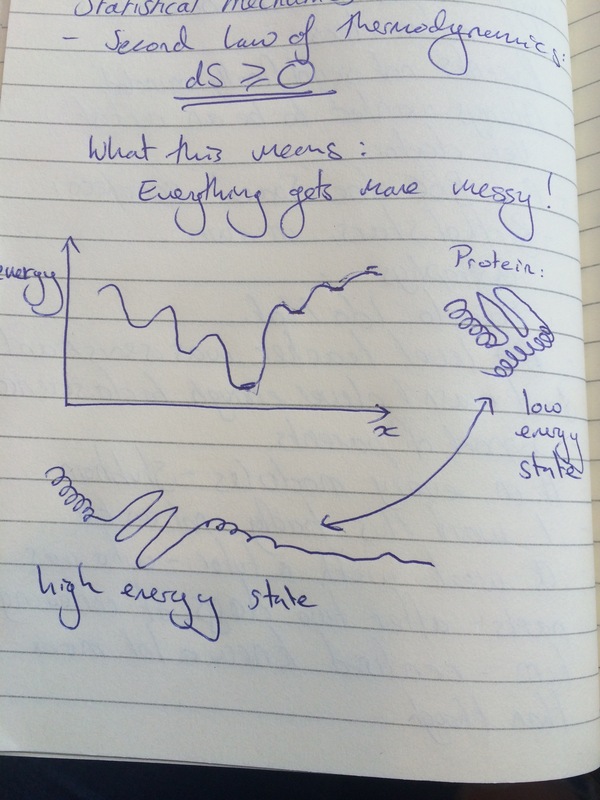 What followed was Fliss drawing me diagrams and saying words like; protein, high energy state, neurons, potassium, action potential… I just about followed, but what I was really noticing was her passion. When Fliss talks physics and about her research her face lights up and she becomes incredibly animated. When she finished university after completing her masters she contemplated pursuing a PhD, but found herself intimidated by two of her friends who had pursued their PhDs. Feeling that they were (still are) the most amazing women she knew and far better scientists than she was. If that’s what it took to get a PhD, then she wasn’t good enough. She pauses to emphasize here that these women are still her closest friends and that she wasn’t merely being modest, she truly believed it. So, she found herself working for a science publishing company; the first one involved writing revision guides for secondary school students, which she says was fun because she got to write physics jokes (she asked me if I remembered those study guides, I don’t. Maybe we didn’t get them in Scotland!). The second was handling the peer review process for scientific journals. However, she soon bored of working on other people’s research. Keen not to rush into the first job that came along, she sat down and had a conversation with her Dad. It’s clear talking to Fliss that this conversation had a lasting impact on her life. She comes back to it and stresses it when talking about her art work and her charity work. So, she wrote a list of all the things she could possibly do; study art in Vienna, financial trading, develop her circus skills (she can already hula hoop and juggle – at the same time. Yup.) and lastly a PhD in Neuroscience, which she classed as the most audacious and laughably arrogant item on the list. After attending the Bristol Festival of Neuroscience (which she only went to thanks to a rude choir master, who I think she now owes a drink!) and discovering that Bristol University were looking for people with math or physics backgrounds who could offer a new perspective in the field of neuroscience. This was her in. She applied and, to her complete surprise, was accepted. She told me that it took about a year before she realised that no one had made a mistake and that they genuinely intended for her to be on the course! I’ve always viewed science and art to be very different, I’m probably wrong, in fact, Fliss is proof that I am wrong; a person can be a scientist AND an artist and be incredibly talented at both. You can see her work on her website here. Go and have a look, see for yourself how talented she is. She told me that being a scientist and an artist are both about observation. Bristol is the perfect city to live in as it’s such a diverse, exciting and supportive community. There is an abundance of incredibly talented and friendly artists and for that she feels incredibly lucky to live here. When talking about her art work and her reasons behind it she is actually very scientific. When she sits down to draw or paint, she starts with one single thought and tries to simplify it or look at other areas where it applies, just like she would do with an equation or science. Science definitely influences her art (not that she paints atoms and the like!) and art influences her science. Describing herself as a very visual person; if she can’t draw it then she can’t understand it. She also uses her art as an outlet for emotion. It’s difficult for her to talk about her emotions and even as she is trying to explain this to me I can see that she is struggling to find the words; this incredibly intelligent woman can’t explain her feelings, so she draws them. Recently, she tells me, she has been drawing a lot of crocodiles and dead pigs. Why dead pigs? Yep, I asked that too. In all of her work she has a person or herself in mind. She’s drawing the parts of herself, or people, that she struggles to deal with. 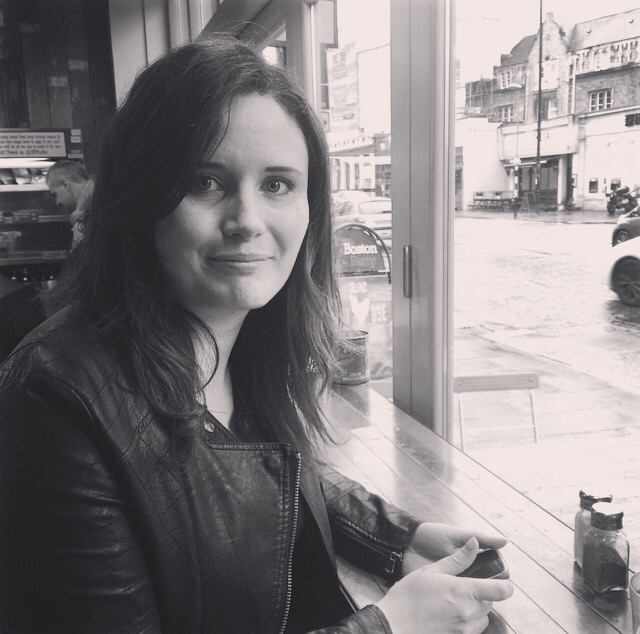 Recently, Fliss found herself in a situation where she was going through an emotional time, in her personal as well as her work life. She told me that she was ‘sulking’. Her actual words! She wanted to do something to pull her out of her sulk and get out of her own head. It was around the time that the refugee crisis came to the forefront of the media and she found herself increasingly frustrated by their portrayal of the crisis and their use of words like ‘swarms of people’. At this point Fliss uses the words ‘disgusted’ and ‘revulsion’. It’s clear speaking to her how passionate she feels about the situation, about politics and about people. She goes back to what her Dad said to her about no one person being more important than another. She decided that she wanted to do something and by searching on Facebook she came across the group; Calais Refugee Solidarity Bristol. Attending the first meeting, she found herself in a room with 6 other people. At that point she was only committing herself to a couple of hours a week; she was doing her PhD at the time, after all. She offered to take the minutes. It was a small commitment, but it was something and she would be helping. By the second meeting, their numbers had more than doubled with about 20 people in attendance. They agreed to collect warm clothes, tents and food and send a van to the refugees in Calais. Please note that was singular, they planned to send one van. Just one. They opened up four drop-off points around Bristol for people to make their donations. Within 24 hours all four drop off points were full and donations were still flooding in. Panic set in and out of the original seven from that first meeting, Fliss was the only one who was free to do something about it. Fliss was keen for me, at this point, to take the name Sarah Jade down. She tells me it’s important that I mention her as she was a key player in the events that took place that weekend. Sarah Jade is a single mum of two from Bedminster. She got in contact with Fliss saying she wanted to help, so Fliss went round and they came up with a plan; first part of that was that they needed a warehouse. They managed to secure a plan B; a lovely woman in Bath offered the use of her Barn, but Fliss and Sarah Jade were concerned that the access road to it would be difficult for the lorries they were now sending. So they continued to search for a plan A. By this point, Fliss was so stressed she wasn’t eating and over the course of the weekend she wasn’t sleeping. On Sunday, after turning up late for her mum’s birthday meal with a cheap gift (for the first time ever), Fliss received a message on Facebook from David Goldie, his sister had joined the Facebook group and asked him if he could help. He had a warehouse and it was theirs if they wanted it. By 7.15 Fliss and Sarah Jade were at the warehouse. It was perfect. There were 6000 people on the Facebook group now and they were waiting for instructions. Sarah Jade organised all the people with vans while Fliss took charge of arranging private Facebook events for locations and times, she then posted in the main group ‘St Pauls location, 8am. Comment yes and I’ll invite you to the group.’ Everybody came through. 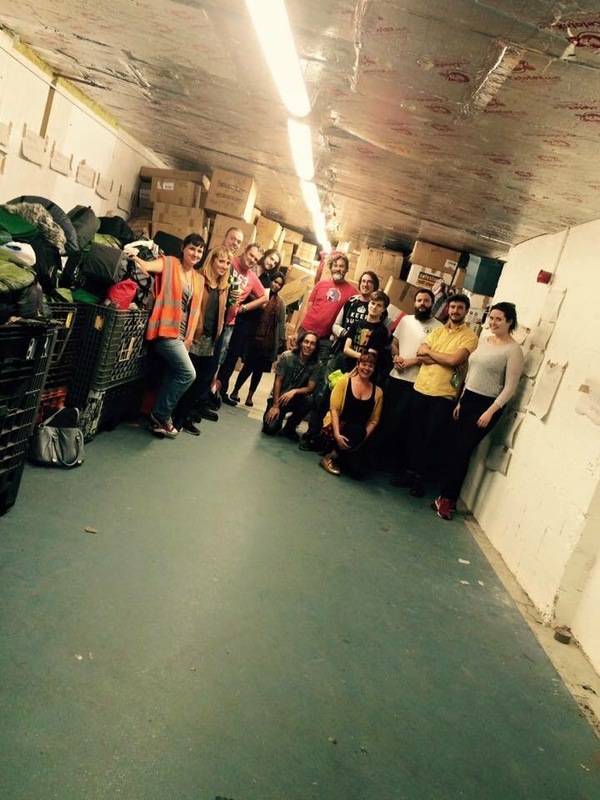 Over 100 strangers came together to pack up, sort and manage over 20 tonnes worth of donations. 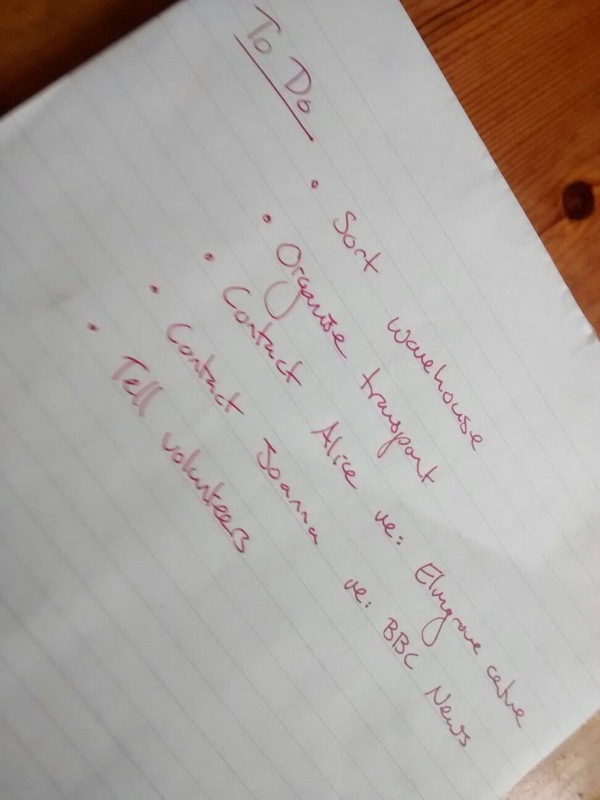 Sarah Jade and Fliss were both interviewed by the BBC, which was shown on the BBC news, despite the fact that Fliss was convinced that their story would be bumped for something more news worthy, but what could be more news worthy than a community of strangers coming together to help those in crisis? By 10pm on the Monday night all donation points were cleared, sorted and in the warehouse. They sent 20 tonnes of donations to Calais in articulated lorries (they thought they’d need one van!) and raised over £10,000. The group is still continuing with their efforts to help the refugees displaced by war, but Fliss has taken a back seat now. That weekend, she didn’t eat or sleep, but she’s incredibly proud of what she achieved. She even has Bristol Mayor George Ferguson’s number among her mobile phone contacts now! So, what’s next for Fliss? For science, she plans to continue her research and have her own lab one day. For art, she wants a solo show, maybe next year. She doesn’t need to promise to keep painting, it’s an intrinsic part of her, it is not an option to stop. 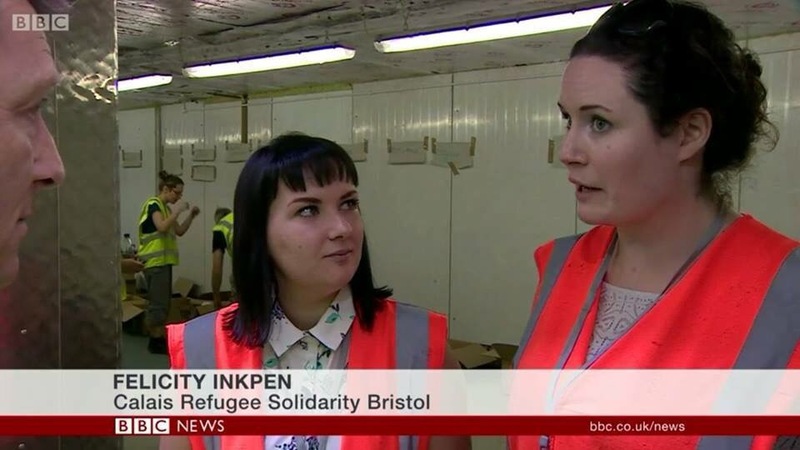 And as for the Calais Refugee Solidarity Bristol group, well, she’s still involved, just to a lesser extent. She wants to continue to speak to people about what is happening and to normalise humanity. It’s important to help because they are people, they are human beings and they need help. Fliss is an amazing woman. She is so passionate about everything that she does and it runs through her veins; science, art, politics, charity. In my eyes she is supremely intelligent, beautifully creative, wonderfully kind and surprisingly modest. We all need people to look up to, peers to challenge our behaviours and allow to influence who we are and I’m incredibly glad that I have this wonderful woman in my life.